What should I expect from my visit? How do I get in touch if something changes? Do I need to arrange for sleigh parking and someone to celan up after the reindeer after his visit? All that and more answered below. What should I expect when Santa arrives? You and Santa will work this out prior to the event. Some families and groups like big, grand entrances with lots of HO HO HO's while others prefer to hear the soft jingle of distant bells before Santa's arrival. Do I need to make arrangements for the sleigh and reindeer? No. Santa will not be arriving in the sleigh with the reindeer. The reindeer are all busy practicing their take offs and landings and the sleigh is being loaded for the big trip. Plus the sleigh and reindeer are only able to fly because of "Christmas Magic" and that is only on Christmas eve and Christmas day. Santa will most likely arrive in a SUV. Do please have a convenient place out of the line of sight of little eyes, close to the event for Santa to park. Will Santa pass out gifts? You can arrange for Santa to pass out gifts if you like. Santa travels with his bag and is happy to fill it with items you purchase and wish him to distribute. If gifts are not all the same or are for specific individuals please make sure they are clearly marked. Please remember to be practical, Santa's bag is only so big and his back only so sturdy and we certainly wouldn't want him to throw it out before his big night so nothing heavy please. In larger groups an assistant that is familiar with the children is a huge help. How much does a visit cost? Each visit is different. Depending on the travel time, length of event and number of attendees as well as when in the season it is held. An earlier event might be priced a bit differently than one the weekend before Christmas day. Pricing is not set by the hour per se as alonger events will get a disount on the additional hours since there will be no need to factor travel time and expenses in further. Only Christmas Eve rates are set at $100.00 per half hour. If you are a not-for-profit please inquire about discounts. 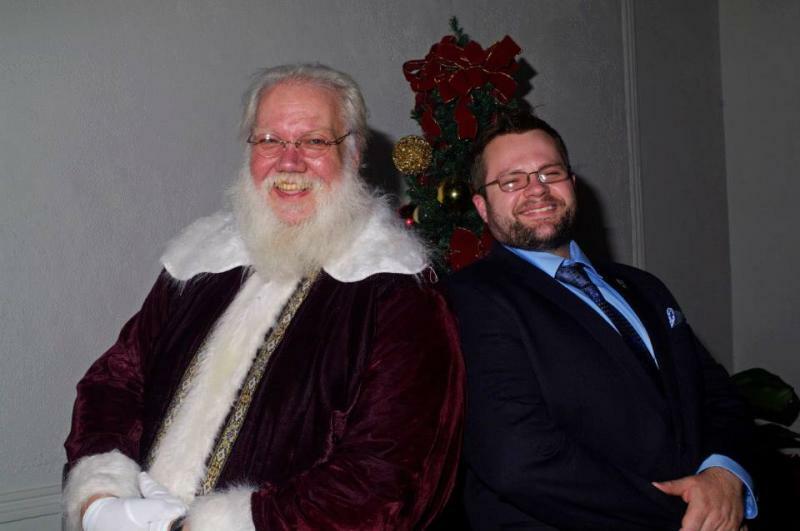 To get an accurate quote for your visit just click here to contact Santa. How do we pay? Payments can be handled through any method that is most convenient for you. Cash, check or credit card payments can be made. A deposit of 50% of the visit is due and is non-refundable should you cancel the event for any reason. The deposit is due at an agreed upon date prior to the event. The remainder of is due no later than the end of the event. If payment is made at the event then placing it in a Christmas card and passing it along to Santa with a hearty "Merry Christmas!" as he leaves works. You can also be invoiced through PayPal if you wish to pay by credit card. Should everybody open gifts at the same time or as they are given out? Do we want photos before or after gifts? One thing Santa will NOT do is restrain a child. Crying and fussing is one thing and we all have one of those pictures somewhere, but Santa will not restrain a child that is trying to get away. What if Santa promises a gift we said "No" about? Santa does not promise the child will get what they ask for even if the parents say "Yes". Santa will say something along the lines of, "We'll see what we can do about that," or "Keep working really hard and I think that could happen". If the gift in question is a pet Santa's answer is that he deosn't deliver pets because they are not toys, they alive just like us. Mom and Dad will decise when the child is ready for a pet, but Santa can always put in a good word. I want Santa to tell my children they have been naughty and better shape up or there won't be any toys for them this year. Sorry, that's not going to happen. Santa will not tell a child he has been bad or naughty or scold them. 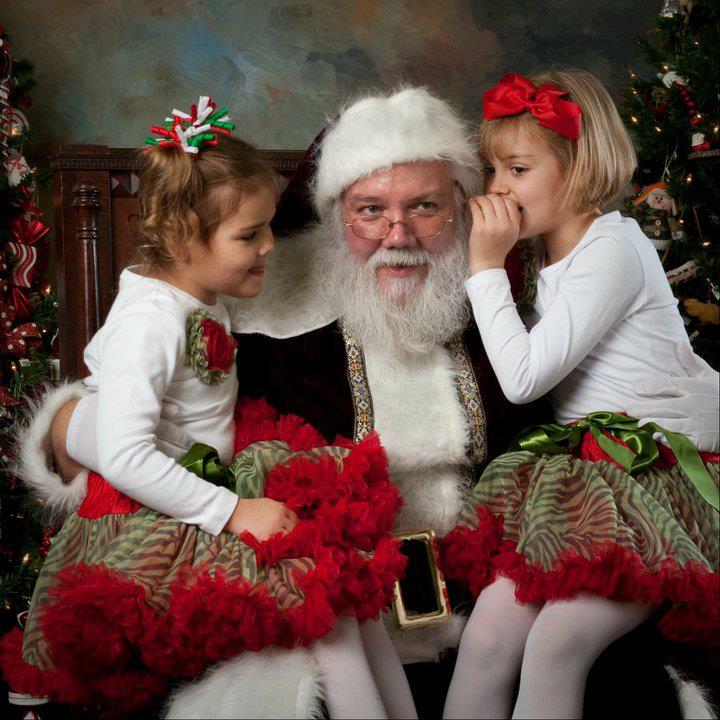 Santa will reinforce the benefits of good behavior and explain that doing your best is important. 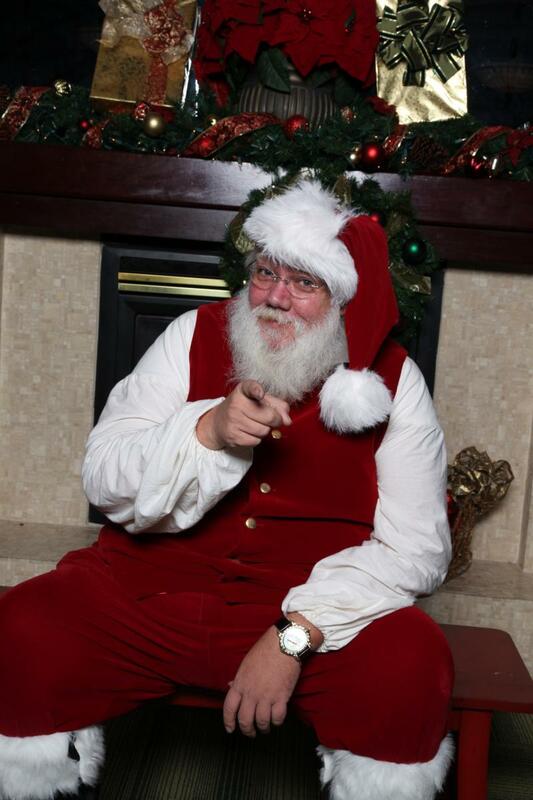 Santa advises that doing your best in everything you do is the key to being on the "Nice" list. From the pictures it looks like Santa has 2 suits, why? Yes Santa does have 2 suits and they are different. If there is a particular "look" that you prefer form the photos please let Santa know and he will do his best to accomadate you. However certain visits lend themselves to one suit over the other. The darker of the 2 is much cooler and more versatile. Some photographers prefer it over the "red" suit as children dressed in red stand out better against it. The red or "Cola" style suit is warmer and is more layered. Most indoor visits with this suit see the coat taken off and Santa is in his vest as pictured below.